I've been mainly shaving with my favorite razors recently (which are classic cobra and wolfman SS), and haven't touched these in a while. last but not least, This was released about 4-5 years ago, but forgot the name. Aluminum made, comes with a stand. If you buy more than one, will give you combined shipping discount of $5 per extra item. 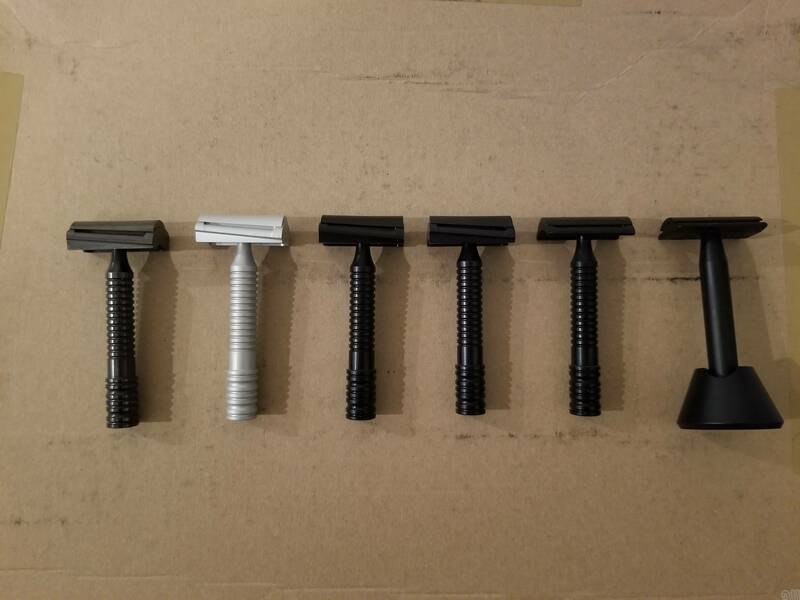 The one on the far right is called the Standard Razor. It's black anodized aircraft grade aluminum, with a stand. It shaves like a Merkur 34 or a Mühle 89. At $35 it's a good deal. that's right. It's a standard razor. I haven't touched it for so long i forgot the name.